Feel yourself as a movie heroes «Mission Impossible» and «James Bond»! Our company is glad to present you a unique adrenalin attraction where a speed boat competes with a helicopter. 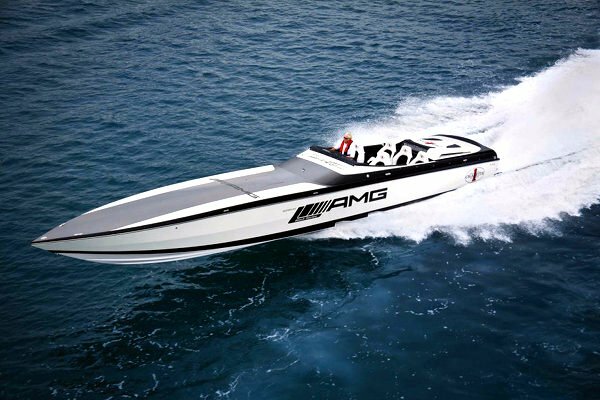 Custom-made competitive motor boats of Cigarette Racing Speed Boat category have elongated fiberglass bodies which speed up these motors and increase their capacity up to 1,000 l/s. The race takes place along coast of the Cote d’Azur. Port for the start the race — Monaco, Nice, Cannes. Additional helicopter records the entire race on video with multiple cameras. We will make for you 5 minute clip from the musical theme of «Mission Impossible» or «James Bond». This event is ideal as an exclusive gift for birthdays! If you are interested in organization of James Bond adrenalin attraction. You may also fill out the form mentioning the information of interest. Once we receive your request, we will contact you as soon as possible.